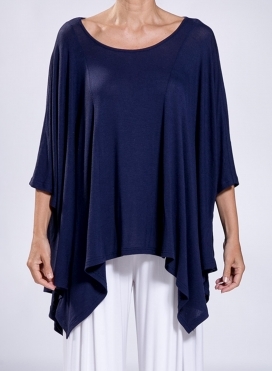 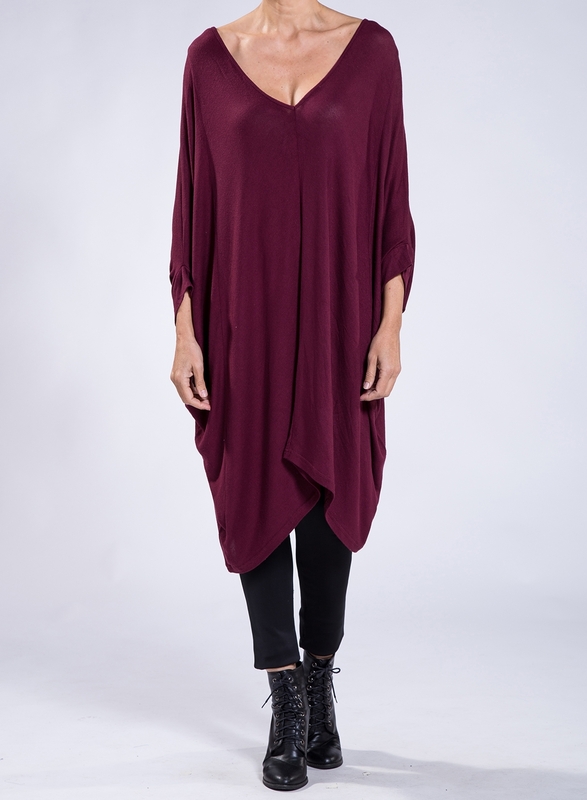 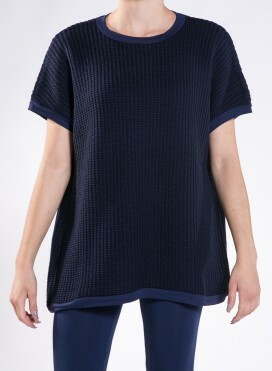 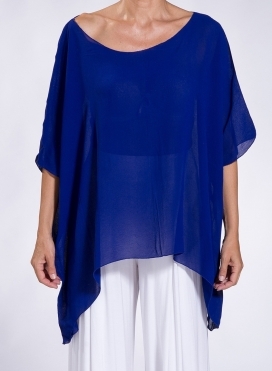 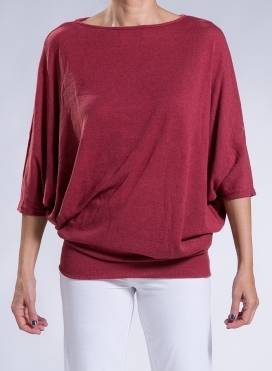 Loose fit blouse made of soft light knitted viscose featuring a deep V neckline and cozy dolman sleeves that cover the entire arm creating the feeling of a batwing. 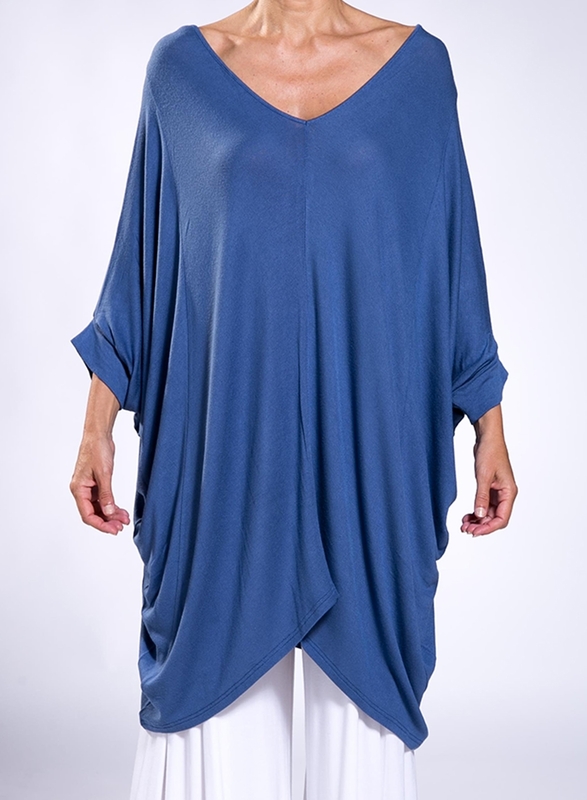 Slightly asymmetrical hem like a triangular edge towards the top. 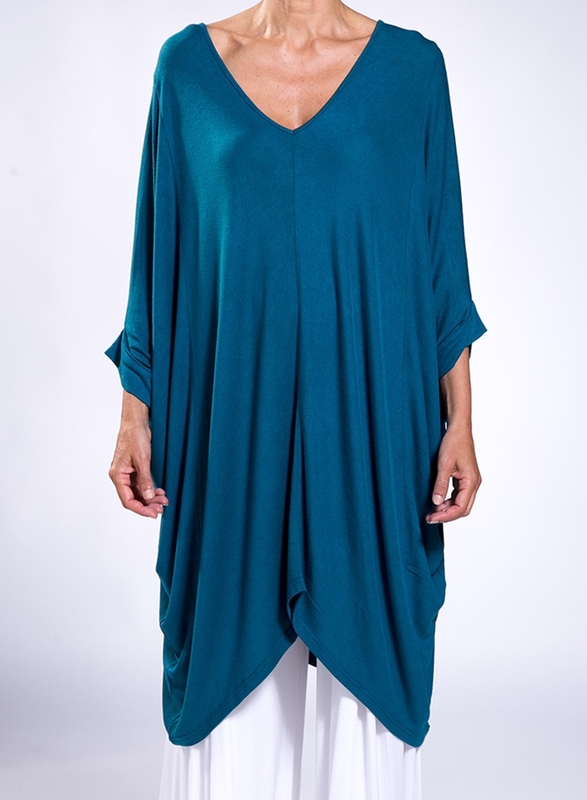 It works great with tights and cigarette pants.